For the region, see Gozo (region). 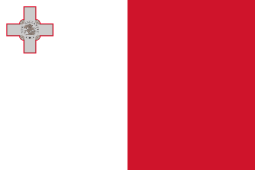 For the island's short lived independence, see Gozo (independent state). The island has a population of around 37,342 people (as of March 2014) - (all of Malta combined has 445,000), and its inhabitants are known as Gozitans (Maltese: Għawdxin). It is rich in historic locations such as the Ġgantija temples, which, along with the other Megalithic Temples of Malta, are among the world's oldest free-standing structures. Gozo has been inhabited since 5000 BC, when farmers from nearby Sicily crossed the sea to the island. 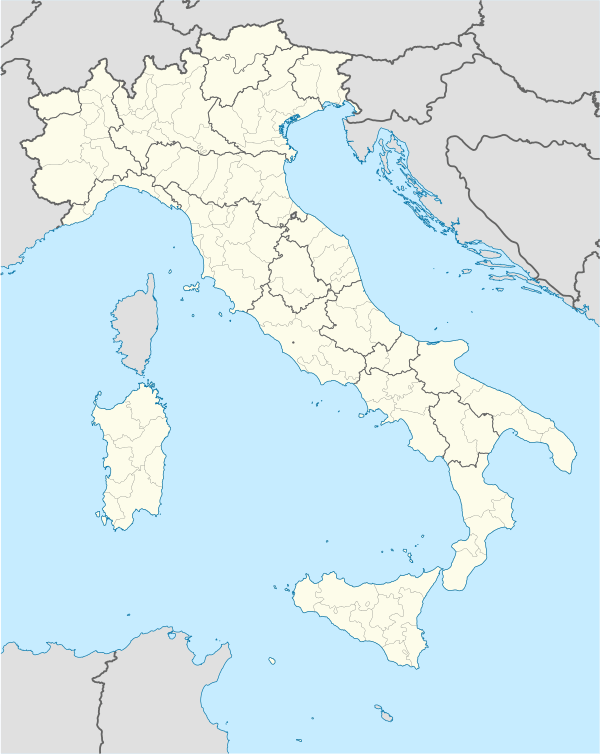 Due to the discovery of similar pottery found in both places from the Għar Dalam phase, it has been suggested that the first colonists were specifically from the area of Agrigento; however, it is currently indeterminate exactly which part of Sicily the farmers came from. They are thought to have first lived in caves on the outskirts of what is now known as San Lawrenz. Gozo was an important place for cultural evolution, and during the neolithic period the Ġgantija temples were built; they are among the world's oldest free-standing structures, as well as the world's oldest religious structures. The temple's name is Maltese for "belonging to the giants", because legend in Maltese and Gozitan folklore says the temples were built by giants. Another important Maltese archaeological site in Gozo, which dates back to the neolithic period, is the Xagħra Stone Circle. Also, native tradition and certain ancient Greek historians (notably Euhemerus and Callimachus) maintain that Gozo is in fact the island Homer described as Ogygia, home of the nymph Calypso. 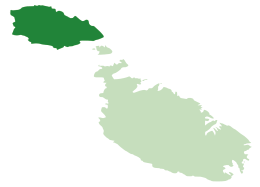 The Gozo Civic Council was set up as a statutory local government in the island of Gozo on 14 April 1961, the first experiment in civil local government in Malta since the French occupation of 1798-1800. The law authorised the Council to raise taxes, although it never actually made use of this power. In 1971 the Labour Party was voted into office. As its support in Gozo was weak and it favoured a more centralised administration it proposed a referendum on the abolishment of the Council putting emphasis on the unpopular possibility of it raising taxes. In the Gozo Civic Council referendum, 1973, the overwhelming majority of voters (76.97%) voted for the abolition of the Gozo Civic Council. In the past, there were various options for reaching the island. A sea plane service once operated from Valletta to Mġarr Harbour, but its operations are currently "suspended until further notice". Similarly, a helicopter service which connected the two ceased operations in 2006. Several proposals have been made to construct a road link between Malta and Gozo. In 1972 the newly elected Labour Party administration carried out a feasibility study that concluded building a bridge between the two islands was possible, but would have negative environmental effects. A tunnel was also considered, but found to be too expensive at the time. An online poll by The Times of Malta in 2006 found that 55 percent of respondents supported a road link. Many of the distances within villages are negligible and most of the roads are fairly quiet and pleasant to walk along. There is also a footpath network, though the paths require good shoes and a good map (they are not always clearly marked on the ground). There are longer distances if travelling between different villages, ranging from 1 to 5 km (1 to 3 mi) from one village to the next. Source: Gozo - Car Hire - Visit Gozo. Text is directly quoted. White taxis are also found in Gozo, (as soon as one exits the ferry terminal in Mġarr) with their competitive price rates they are the most comfortable means of public transport on the island. Also the ideal for one to visit the hidden charms this Island offers. All taxis are modern, meter priced, air-conditioned and luxurious cars with all of them offering a vast range of pre-determined price tours going to all touristic attractions around the island. All drivers-owners are local, very helpful and full of experience. In 2005, the island had a population of 31,053, of whom 6,414 lived in its capital Victoria. As of March 2014, the population has increased to 37,342. The crude birth rate was 7.93, considerably lower than that of 9.59 for Malta. The town with the highest birth rate is San Lawrenz (15.93) and that with the lowest is Xewkija (4.89). Gozo is known for its "Karnival" (carnival). Feasts are important tradition on the island with their celebrations, including fireworks and bands, in the summer season. During the weekend of the various festas in the villages, many Maltese people (Malta is a separate island) come over from Malta to experience Gozo’s unique carnival. In the past, Festas were a time for young Gozitan men and women to meet up and many of those meetings resulted in formal courtship and subsequent marriage. In the village of Nadur many locals dress up in colourful and also outrageous costumes with the intention of not being recognised. Some of Maltese dishes or variants of these dishes are associated with Gozo. Gozo is particularly known for its local cheeselet. Two days of shooting in Gozo's strong Mediterranean light provided shots used to represent the desolate surface of the alien planet in the 1981 British horror film Inseminoid (known in the U.S. as Horror Planet). ↑ Grenville Temple (1836). "Excursions in the Mediterranean". p. 200. ↑ "Coat of Arms of the Island Region of Gozo". VisitGozo.com. October 2013. Retrieved 22 June 2015. ↑ "Calypso's Cave". VisitGozo.com. Retrieved 22 June 2015. 1 2 "Ġgantija Temples". Heritage Malta. Retrieved 16 August 2015. ↑ "Where is Gozo?". Gozo & Malta. Retrieved 26 March 2013. 1 2 "History of Gozo". islandofgozo.org. Gozo Tourism Association. Retrieved 25 November 2014. 1 2 Sansone, Kurt (12 June 2011). "Tunnelling towards reality". The Times of Malta. 1 2 Said, Chris (31 January 2011). "Light at the end of the Gozo tunnel". The Times of Malta. ↑ Busuttil, Cynthia (19 February 2006). "Online poll shows big support for Malta-Gozo bridge". The Times of Malta. ↑ Massa, Adriane (23 November 2014). "'€1bn bridge for Gozo would take four years'". Times of Malta. Retrieved 25 November 2014. ↑ "Malta-Gozo bridge would cost €4m every year to run". Times of Malta. 24 November 2014. Retrieved 25 November 2014. ↑ "Updated: Bridge report should be made public - Din l-Art Helwa". Times of Malta. 25 November 2014. Retrieved 25 November 2014. ↑ Camilleri, Ivan (25 November 2014). "A bridge too far?". Times of Malta. Retrieved 25 November 2014. 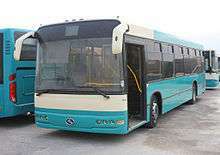 ↑ "Gozo information Gozo related links, Accommodation | Mayjo Rent A Car". Mayjocarhire.com. Retrieved 2013-03-26. ↑ "Maltese Gastronomy and local cuisine". Gozo and Malta. Retrieved 2013-03-26. ↑ Camilleri, Ivan (3 July 2014). 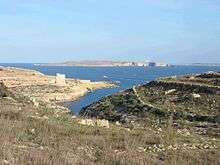 "Angelina Jolie and Brad Pitt blockbuster to be filmed at Mgarr ix-Xini". Times of Malta. Retrieved 8 August 2014. ↑ "Reg Com Gozo". lc.gov.mt. Retrieved 16 August 2015.